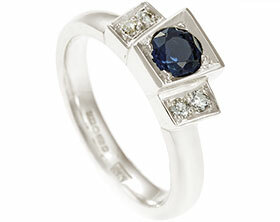 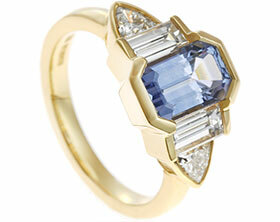 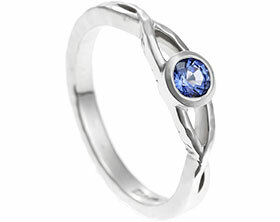 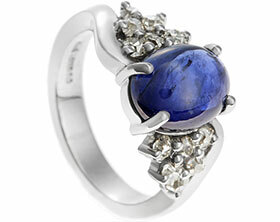 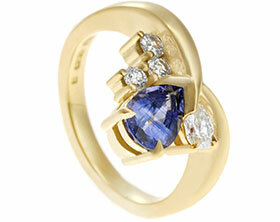 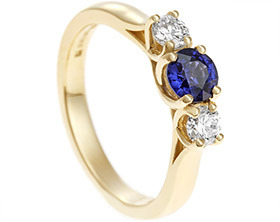 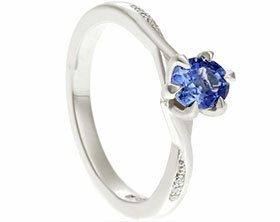 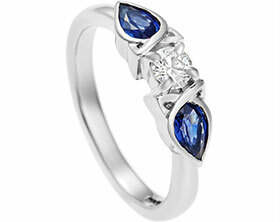 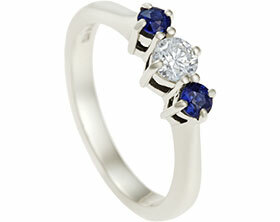 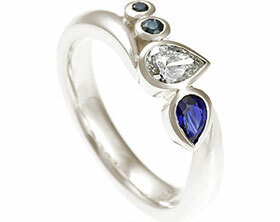 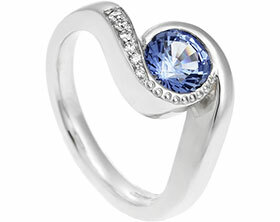 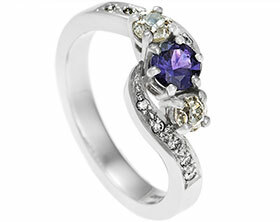 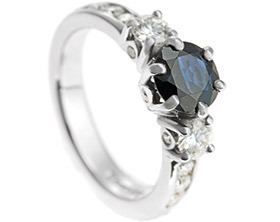 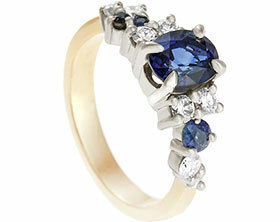 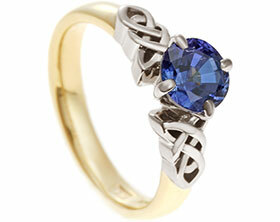 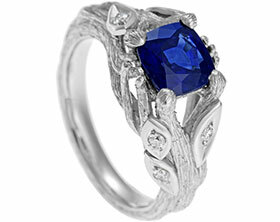 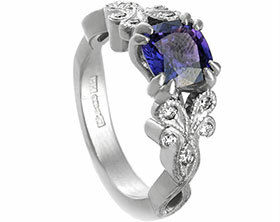 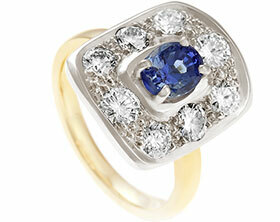 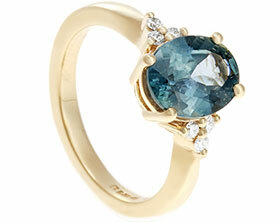 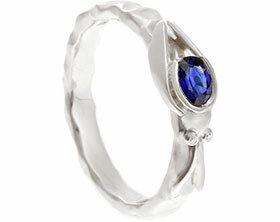 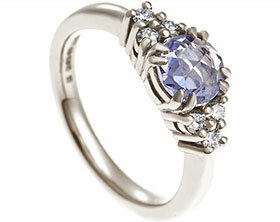 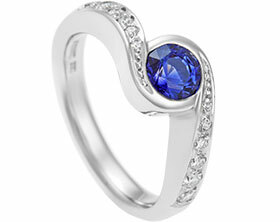 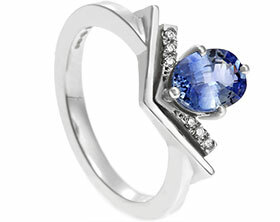 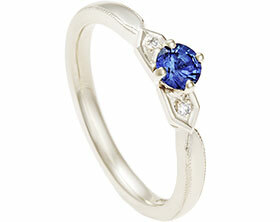 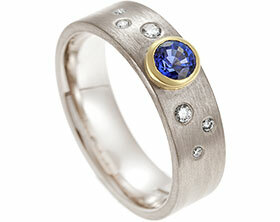 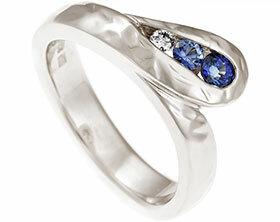 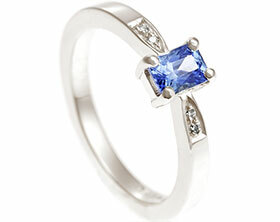 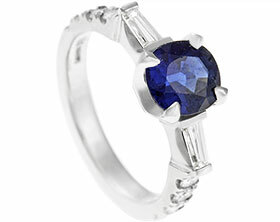 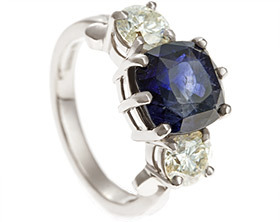 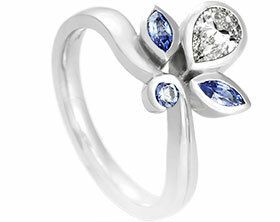 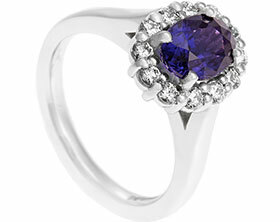 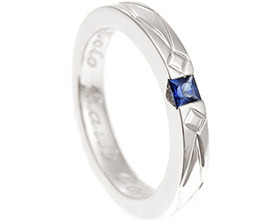 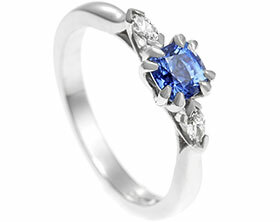 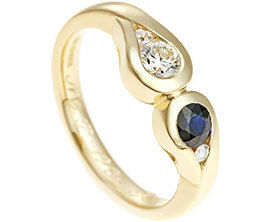 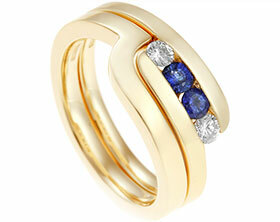 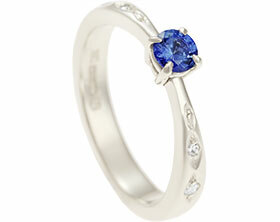 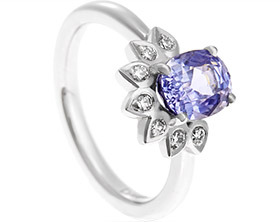 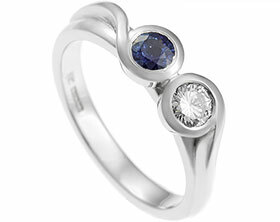 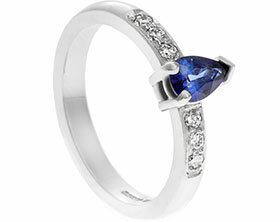 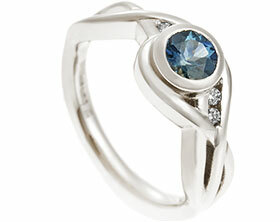 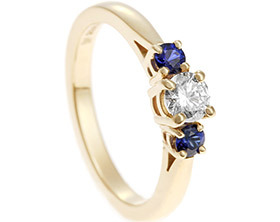 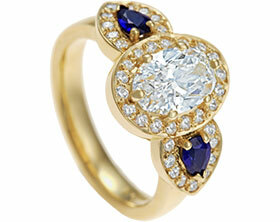 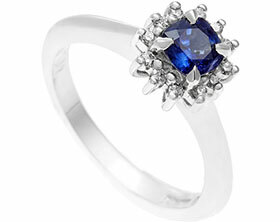 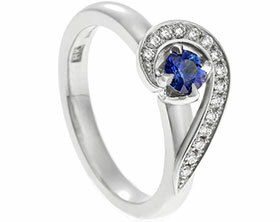 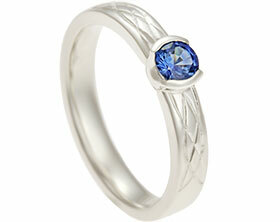 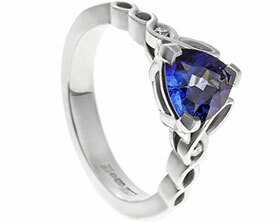 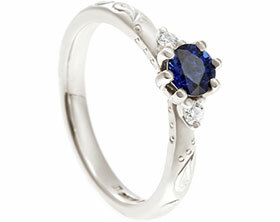 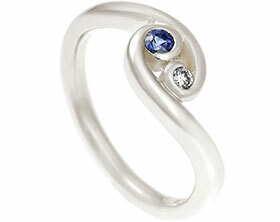 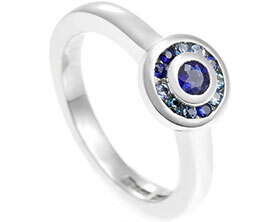 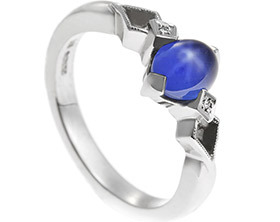 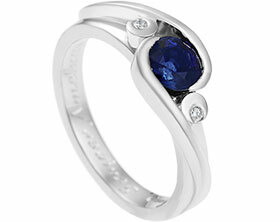 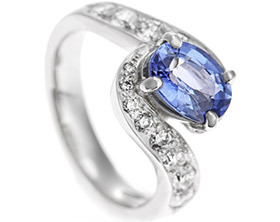 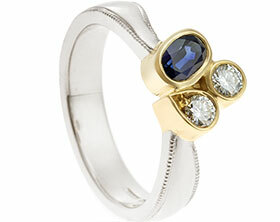 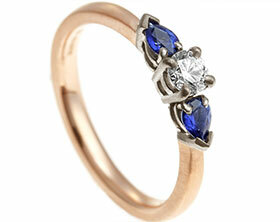 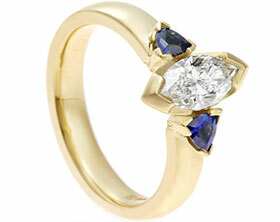 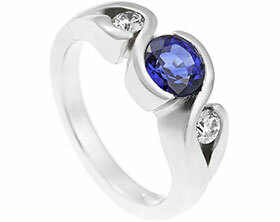 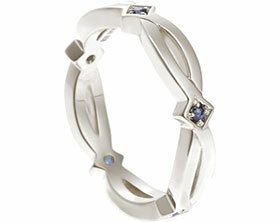 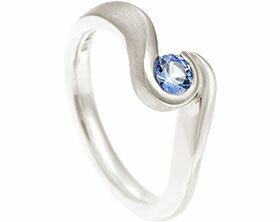 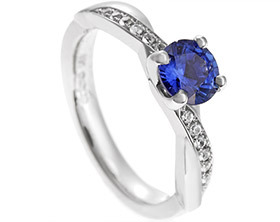 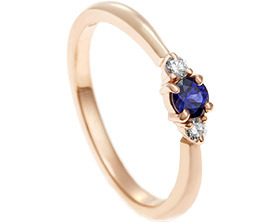 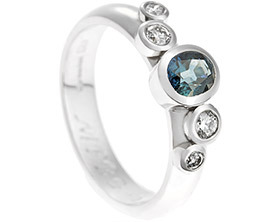 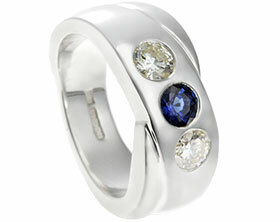 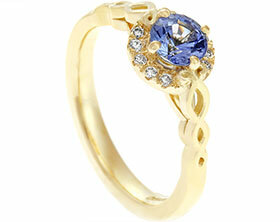 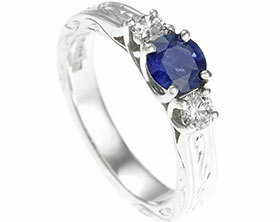 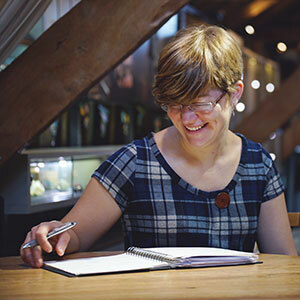 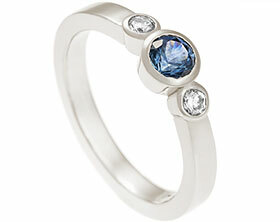 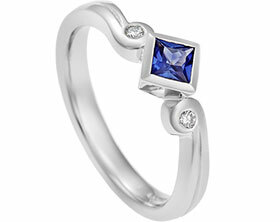 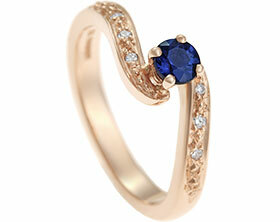 Laura fell in love with a round 4.5mm blue indigo sapphire that she saw in our studio. 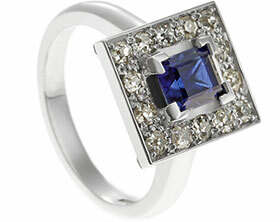 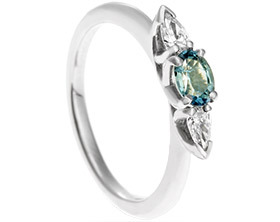 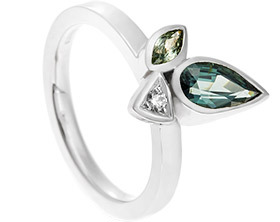 She wanted to incorporate this into a dress ring whilst designing a piece that she would be able to later pass on to her daughter. 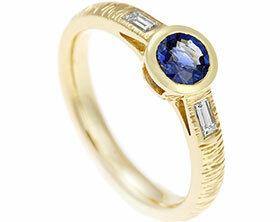 Using two of her own old cut diamonds from a inherited ring, we designed a trilogy style piece with four claw settings and grain set five diamonds into either shoulders of the band to add extra sparkle.